Early morning SUP. The sun fresh from its rise behind Isla Carmen and the sea momentarily in stillness. 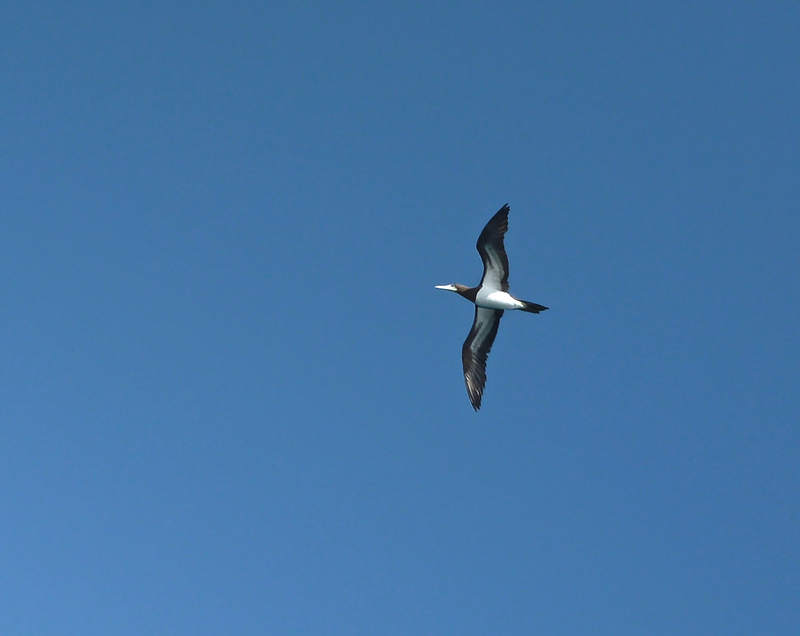 The blue-footed boobies make the rounds of the shallows: soaring, gliding, spying, diving for tiny bait fish. I love to watch them speed toward the water, almost like a fighter jet, wings pulled in tight for a dive below the surface. Sometimes they actually swim underwater, only to pop up with tiny fish in their beaks. They fly low to the water after take-off, using ground effect to give them time to dry their wings before they are air-born again. The morning show goes on. The blue-footed breakfast bunch. 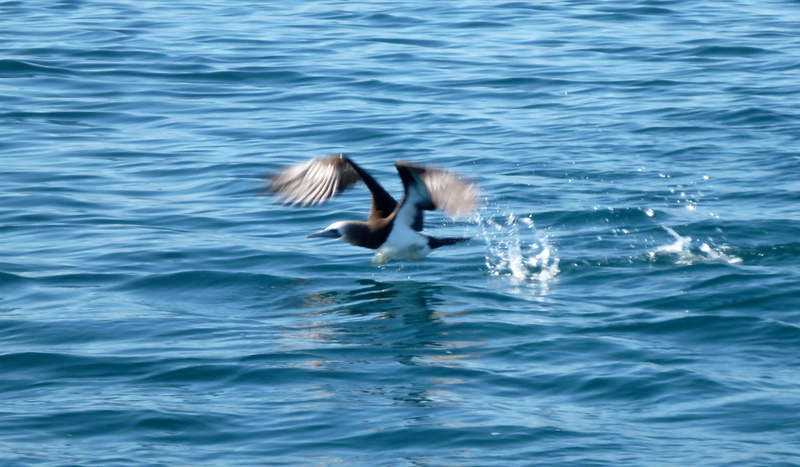 This entry was posted in Baja Living, Loreto, Sea of Cortez, SUP and tagged Blue-footed Boobie. Bookmark the permalink. That is a beautiful boobie Ive never scene one in person but your story made me grateful for all the feathered friends I do get to interact with around here every day. Birds rule, John … Their song in the morning, their nest building antics .. and the sea birds jockeying for fish always put a smile on my face …. Every morning at about 6:20 am a woodpecker starts work on the trees outside my bedroom window it is the nicest and gentlelist alarm clock Ive ever had.